Bec and Casey- All Smiles Sorrento Wedding Photographer. 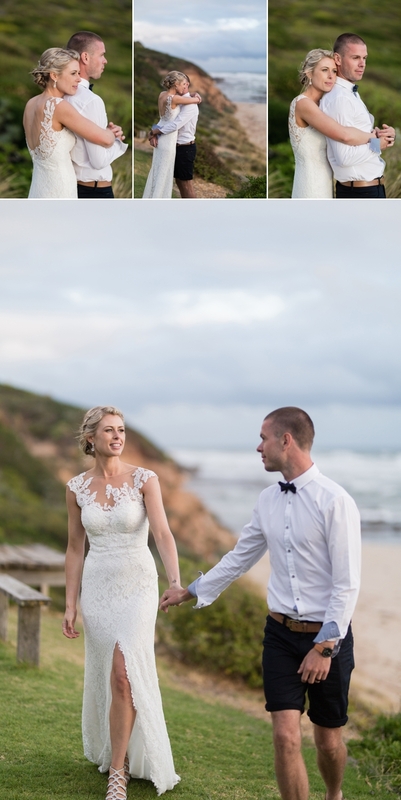 We had such a fun day photographing Bec and Casey’s beautiful Sorrento wedding on the Mornington Peninsula. Meeting with the girls as they prepared for the day- Bec look absolutely stunning wearing a beautiful Pronovias gown. Bec and Casey wanted to do a first look before their ceremony so we photographed their portraits before they exchanged their vows. We love doing first looks- it’s always so sweet to see our couples reactions and Bec and Casey’s smiles said it all on the day. After visiting one of our favourite beaches we headed to All Smiles as Casey greeted guests before Bec arrived. When Bec walked down the aisle Casey became emotional seeing her and I don’t think their was a dry eye at their ceremony! Afterwards friends and family headed inside and celebrated into the night with this beautiful couple- thanks for having us along to capture your day Bec and Casey. Shannon.